Convenience: Zetabid events are a convenient, fair and easy process for buyers purchasing real estate. Many of our properties allow an inspection contingency and most can be purchased ‘Pre-Auction’ by submitting a bid on our simple online offer form. We also cooperate with buyer agents and never require any broker registrations. Bid Deadline Auctions (aka silent or sealed bid auction): Bids are submitted online up to the bidding deadline date. Buyers complete a simple offer form and upload their proof of funds and/or lender pre-approval letter. You are encouraged to submit your highest and best offer since you will not see the bids of other bidders. Online Auctions: Just like eBay, you place your bid during a timed auction period once you complete registration. If you are the high bidder when the clock runs out you win! If multiple bids are received in the last few minutes the end date will automatically be extended. You may also utilize a maximum bid feature which will bid on your behalf against competing bids until the maximum price you set. 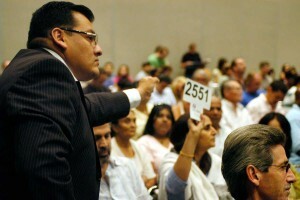 Onsite: Live auctions usually at the property. If noted as a Live Webcast auction, it will be broadcast live on the internet and bidders may bid from anywhere in the world. Registration instructions will be posted for each live auction and generally require the buyer to bring a nominal deposit amount to the event. Absentee bidding may be allowed if you can’t attend the auction. High bidder wins subject to exceeding the minimum reserve price. This may or many not be disclosed (Seller preference). A Buy It Now price may be available on many assets which allows a buyer to end the auction before bidding begins. Certain buyers can’t wait for the auction date and may wish to pay a premium to avoid the competition and go under contract immediately. The high bidder in an auction only creates an OFFER by the bidder to purchase the property from the property seller. NO property sales are final at auction until there is a mutually executed written purchase contract between the property seller and the high bidder. If you plan on bidding on a property at a Zetabid auction, you will be required to confirm your acceptance of the Auction Terms and Conditions. This document can be found on the property details page of every home. We recommend that you read the Auction Terms and Conditions thoroughly before the auction. You should plan on viewing the property (see showing instructions dates and times) and there may be property disclosure documents on the property details page that you should also read before the auction. Most assets provide for a brief inspection period to verify the property condition, but every bidder should view the asset first. With sealed bid and silent auctions, the submission of your bid is a one step process and there is not a separate registration. With online and live auctions, separate registration is required for each individual auction event. Based on the asset price, we may require proof of funds and loan pre-approval letters prior to bidding. Do not attempt to register and bid in the final hours of an auction. Get registered and gain bidding approval 24 hours before the auction date. A bidder registration button will be shown on the property page of the website. All properties, unless stated “absolute.” have a reserve price which means the seller has set a published or unpublished minimum selling price. However, the seller has the right to accept or reject all bids at the seller’s sole discretion. The starting bid may or may not be the reserve price but will always be noted. For online auctions, bidding is very easy and works much like eBay. You must outbid the current high bidder by the bid increment shown on the auction detail page. You may also set your max bid amount and the system will bid for you up to your maximum bid when other bidders attempt to out bid you. For Silent or Sealed Bid auctions, simply complete the online offer form (click the offer button on the zetabid property webpage) and upload your proof of funds (cash buyers) or mortgage pre-approval letter. 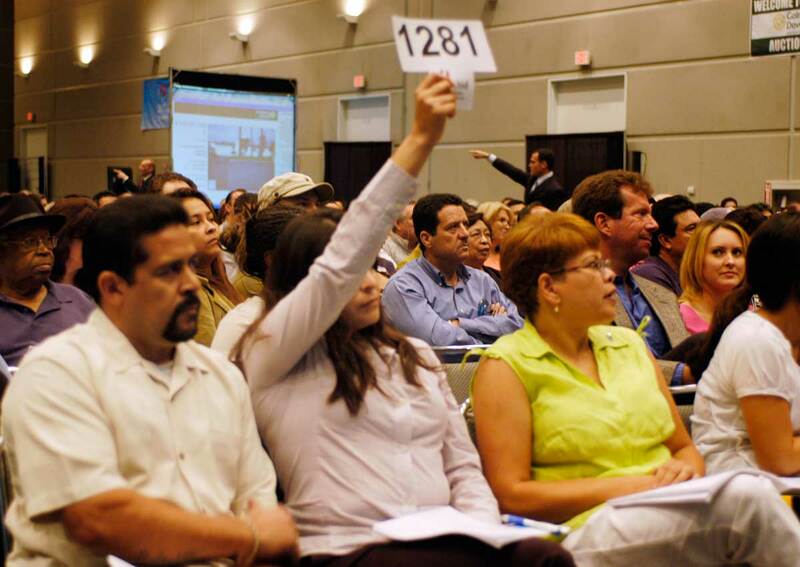 A buyer’s premium will be added to any final High Bid to determine the total purchase price. The amount of the Buyer’s premium is show on the auction detail page and often varies from zero to 5%. A minimum buyer’s premium of $3,000 will be added to all properties unless there is a no buyer premium indication on the auction detail page. For example, if you are the high bid at $300,000 on a home with a 5% Buyer Premium, your actual purchase price will be $315,000 ($300,000 bid plus $15,000 buyer’s premium). 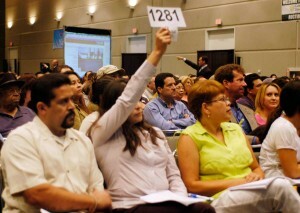 Please take into account this buyer’s premium as you decide how much to bid on a property at auction. The buyer’s premium is not a real estate commission; it is the fee that Zetabid charges bidders for bringing the property to auction, and is separate from any commissions paid to real estate brokers by the seller. Bidders submitting the winning bid will receive a bid confirmation and request for additional information (like vesting) so a contract can be filled out quickly. Zetabid uses DocuSign to electronically sign contracts quickly and easily. You will have 48 hours to e-sign the contract or Auctioneer may offer the deal to the second place bidder. The high bidder’s bid is an offer to purchase the property that is subject to acceptance by the seller; no offer will be deemed accepted until seller executes the purchase agreement at a mutually acceptable purchase price. When escrow closes, the seller will convey title to you by a recorded deed, and you will receive an owner’s policy of title insurance for the amount of the purchase price issued by a national title company in the amount of the purchase price showing the property to be free and clear of any financial liens other than future property taxes and assessments. Closings generally occur within 30-45 days of the auction event. See the auction detail page for terms.